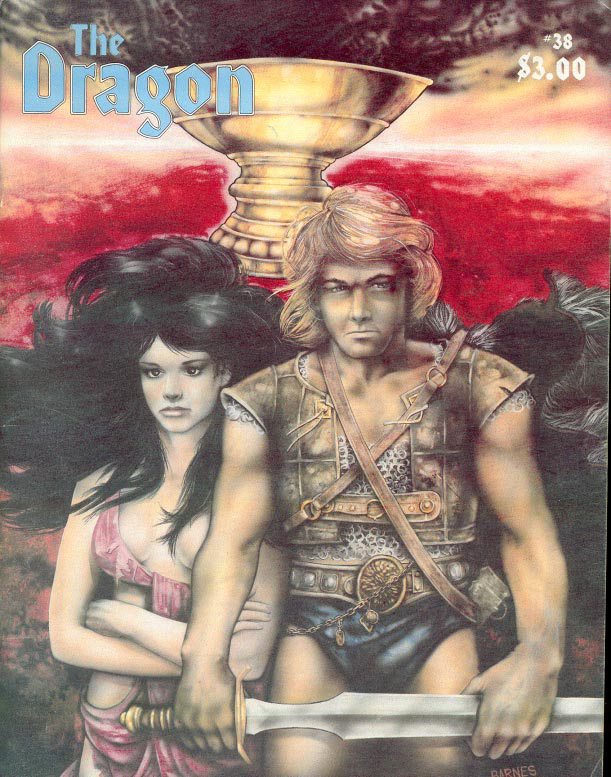 It’s chilly outside, but this edition of Dragon by Dragon goes back to the balmy summer days of 1980, with the August issue of Dragon! Fantasy and sci-fi films were all the rage in August 1980, from Smokey & the Bandit II to Xanadu to Final Countdown. Well, the last two are fantasy/sci-fi. The first is sort of fantastic. Apparently, the modules were “filler”. 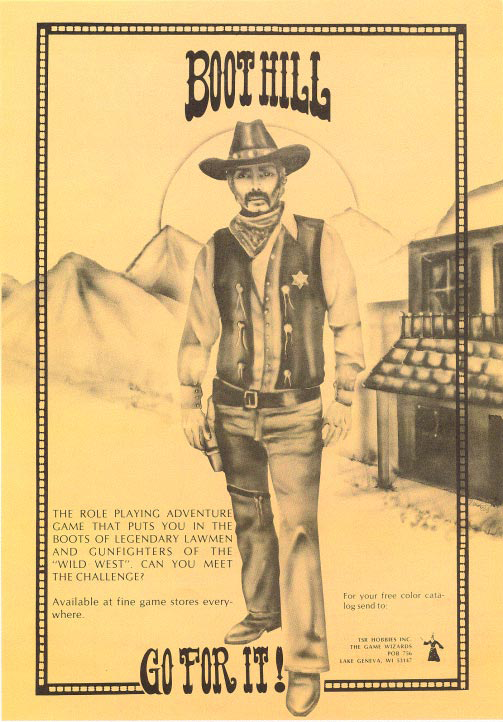 I’ve seen many Boot Hill articles, but this is the first ad I remember seeing. 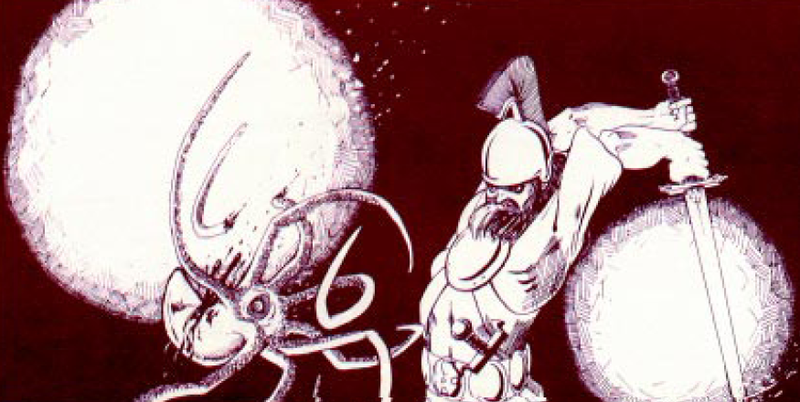 This will sound odd to some readers, but one of the things I like about early D&D was the lack of desire to make it immersive and real. 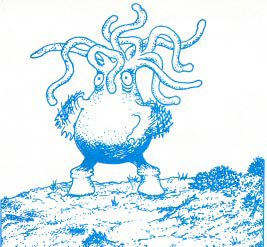 There was already that strain in some players and game masters, but the early breed seemed content to play it as a game that didn’t have to make much sense. Characters had crazy names and did crazy things. Thus my appreciation for “The Dueling Room” article by Jeff Swycaffer. It’s a place for two players to pit their characters against one another. Why? Because it sounds like fun. Because my character can beat up your character – no he can’t – yes he can – prove it! Naturally, the dueling room has some random tables attached to it, because the room changes as the duel proceeds, including some “odd events” like fireballs bursting into the room and absolute, unalterable darkness for 6-11 turns. Sounds like fun. I seem to remember some folks on G+ doing a D&D fight club – this would be the perfect arena for fights like that. I think I’ll put designing something similar on my list of articles I need to finish for this poor, neglected blog. Flaming oil (and it’s modern cousin alchemist’s fire) have long been popular because they seem like a way to break the melee rules and kill things that would otherwise be difficult to kill. My players have hurled or prepared to hurl flaming oil quite a few times. “Don’t Drink This Cocktail – Throw It!” by Robert Plamondon is an examination of the stuff. 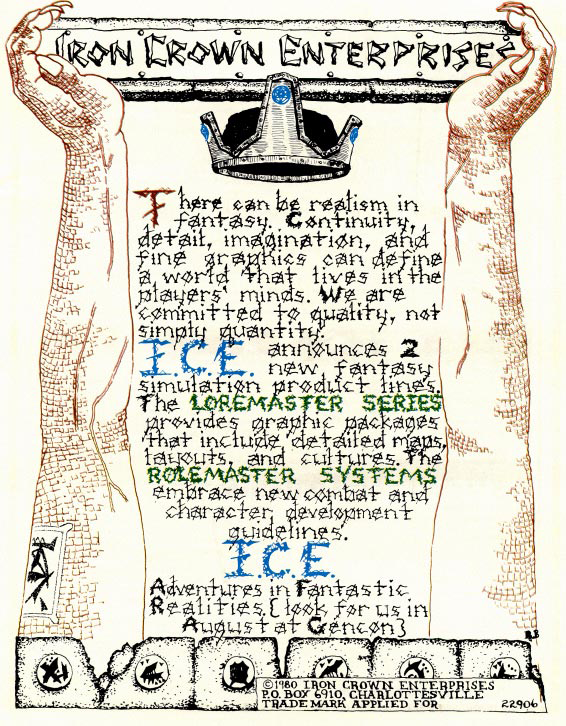 This is one of those articles that deeply explored a D&D concept … to death one might say. The desire to make gaming very complex was there from the start, and the cycle of “more complexity” to “more simplicity” is ongoing. I’m old and crusty enough now that I’m pretty thoroughly stuck in the “keep it simple” camp. 1 – Make attack roll. If you miss, roll d12 to determine which direction (1 = “1 o’clock”) it goes. 2 – Roll d20 – on a “1” it didn’t break, on a “2” it didn’t light. 3 – If you hit, you score 2d6 damage in round one, and 1d6 in round two. 4 – Splash is3′, creatures get a saving throw (vs. poison) or take 3 damage. Armor doesn’t help. 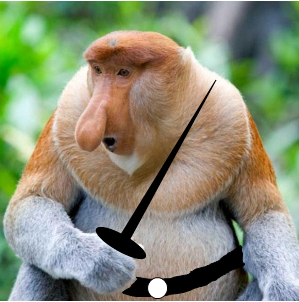 “A 22nd-level Mage Lich approaches a band of adventurers. Suddenly, an 8th-level Cleric presents himself forcefully. The DM rolls 19 on a 20-sided die, and the Lich runs in terror. Is it? If the game is meant to be “realistic” to you, or you’re looking for high drama, I suppose it is. If you’re playing a game, then it’s not so bad. Clerics turn undead. The lich is undead. So be it. Monopoly is equally ridiculous, but it’s just a game. So what? If this does bother you, though, this article might help. 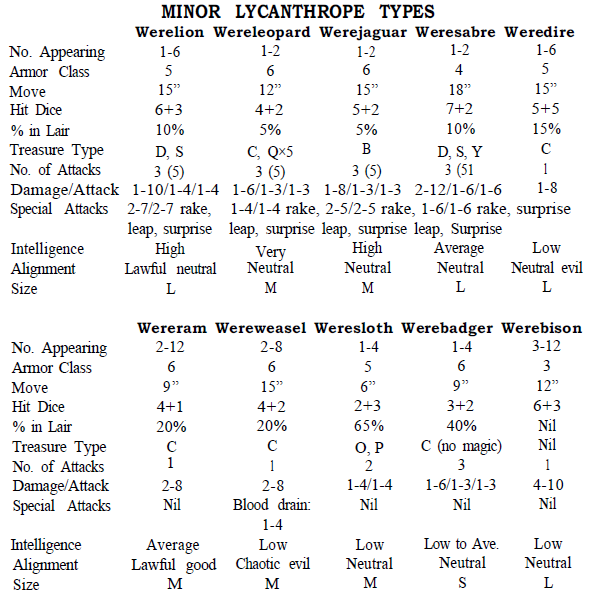 It uses a percentile roll for turning undead, to make the tough undead harder to turn. There’s some cross referencing involved as well. Personally, I’d just allow “name-level” undead a saving throw against the turning effect, giving them another chance to resist. Simpler, probably just as effective. Paul Montgomery Crabaugh wrote a nice little article on globe hopping for international spies, for the Top Secret game. It’s nothing fancy, just a d% table of 100 “fun” places to visit on a spy adventure. 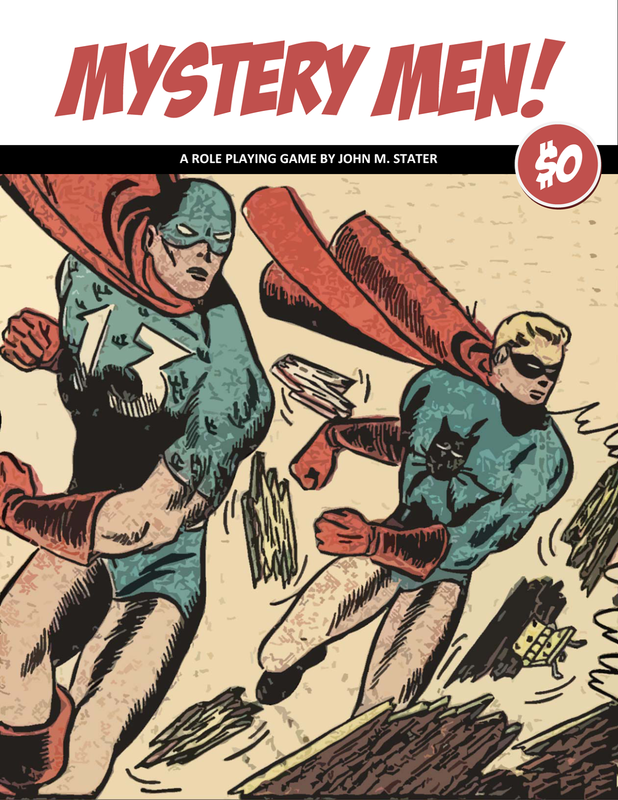 The game master can use it to help design a convoluted plot – roll for a starting point, then roll three or four more times for where clues might lead … with a few false clues thrown in to make it tough. I won’t reproduce the table here, but check out the issue and the article, especially if you’re doing a Cold War spy game. 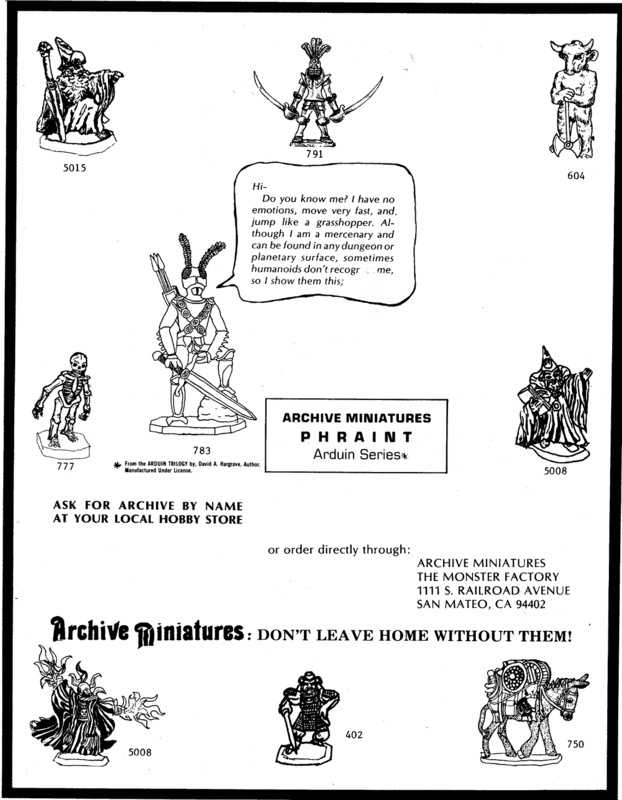 There’s a long article in this issue about how fantasy worlds should operate, which is interesting but, really, “say’s who?” It is a worthwhile article to read, though, with some neat concepts and tables – again, I suggest one find a copy of the magazine – but what I wanted to point out was an early piece by Jim Holloway for TSR. 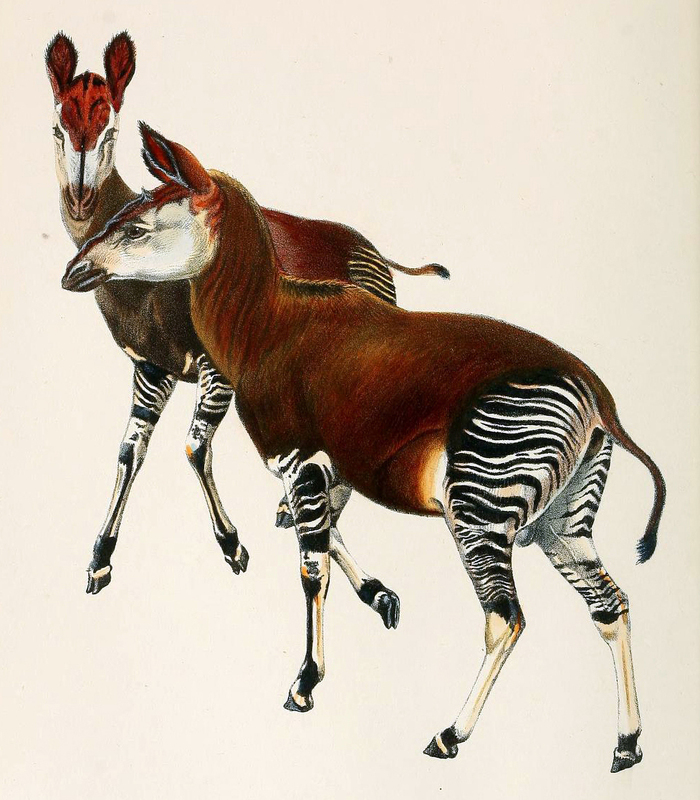 If I had the money, and the interest was out there, I’d love to do an expanded Sinew & Steel with art like this in it. 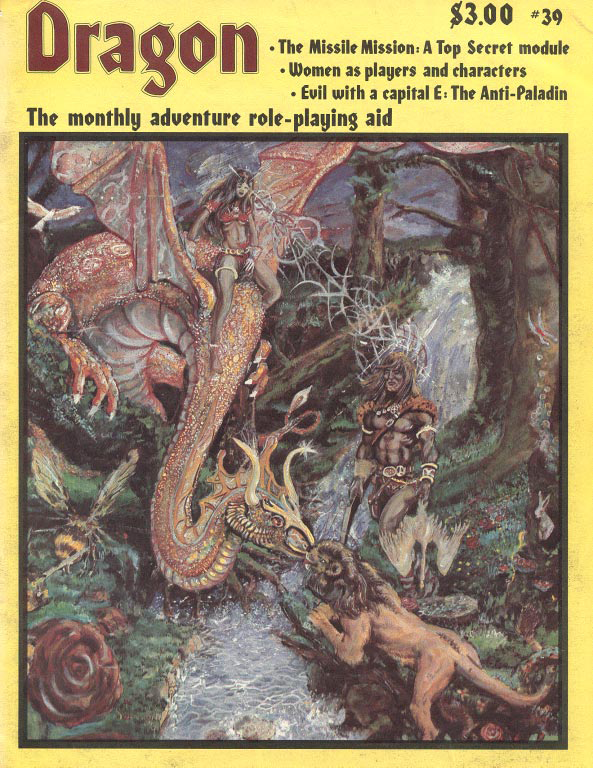 The issue also has stats for Pat Rankin’s flitte and Lewis Pulsipher’s huntsmen. #8 through #10 … well, nothing. Not as much caught my interest this issue. 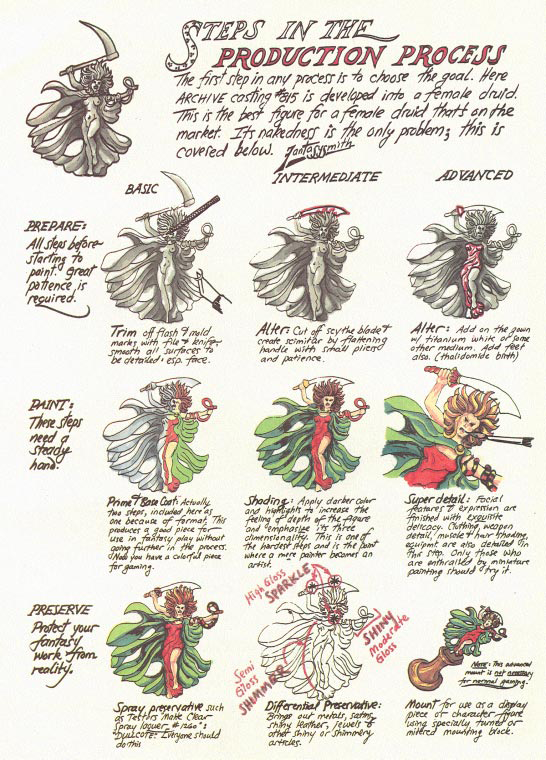 There were some magic items for Runequest, and some D&D magic items folks might like, and the aforementioned very long article about making faerie “real” in your campaign worlds. Tom Wham also wrote some additions for The Awful Green Things from Outer Space. It’s been too long since I did a review of The Dragon. Between work and trying to write/edit a few games, Sundays have been just packed, but today I’m diving back in. This week, we’re examining The Dragon #39, released in July of 1980. I can remember those days. I was 8, and I think the entire country was just about fed up with the 1970’s. 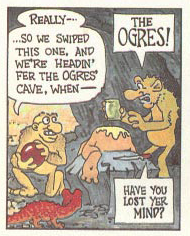 Despite what you might have picked up in a revisionist history class, the 1970’s sucked. Hard. In RPG land, though, things were heating up – new companies, new games, and TSR and D&D were about to hit the heights. So, what did July’s issue have to offer? Let’s check out this edition’s Top 10 cool things. As we often do, we start with an advertisement. This time from Iron Crown Enterprises. I’m trying to remember if I’d seen an I.C.E. advertisement in The Dragon yet, and I don’t think I have. God knows, we’ll see plenty in the issues ahead. 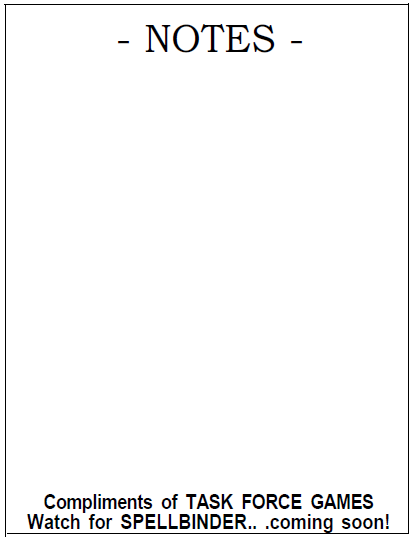 I must say, there’s a bit of humor in an ad that looks like that and boasts about “fine graphics”. They also left their state off the address – did everyone know where Charlottesville was back in the day? Anyhow – they would go on to produce some pretty good material – from tiny acorns do mighty oaks grow. Personally, I don’t think electronic gaming will ever catch on. The one thing left off this guideline: Be good at painting. When I did the miniatures thing, I had no problem choosing the goal … I was just often less than successful in getting there. 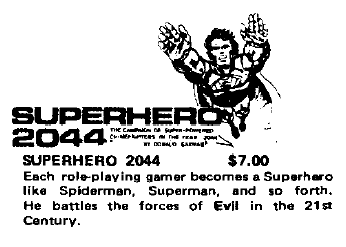 Really, this should be Cool #1, because this article by George Laking and Tim Mesford introduces a “beloved” element of old school gaming – The Anti-Paladin! 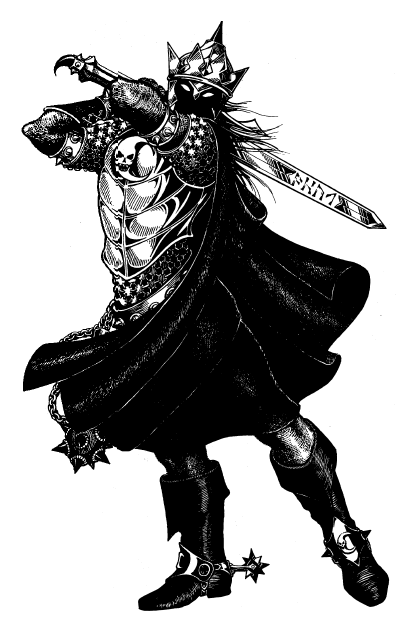 The anti-paladin was an NPC class, meaning it couldn’t be used by players. 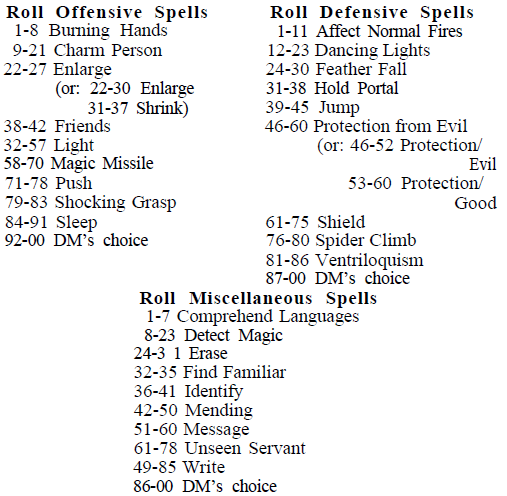 To that end, it gives a guide on rolling up the anti-paladin’s scores, using 12+1d6 for strength, for example, or 10+1d8 for constitution. Charisma has a special formula that uses 1d4: a “1” equals 3, a “2” 4, a “3” 17 and “4” 18. On a charisma of 18, there’s a 25% chance of having an exceptional charisma. Anti-paladins with very low charisma cause fear, while those with very high charisma will charm humanoids and other monsters. Well, we’ve already mentioned Hitler and the Holocaust in an article about alignment, why not delve into equal rights? The article is “Women Want Equality and Why Not?” by Jean Wells and Kim Mohan, and there’s a follow-up called “Points to Ponder” by Kyle Gray. I’m not going to delve too much into the contents of the article, but I suggest you find a copy online (it’s there) and read through it. It’s worth comparing and contrasting what was being discussed 35 years ago with what is being discussed today. He also suggests a limited number of starting prayers for clerics – 1d4+2 to be exact, with those spells being rolled randomly and modified according to the cleric’s instructor’s alignment. The article covers much more ground than this, of course, so it’s worth reading. My answer – it’s a made up rule to keep the game balanced, you knucklehead. Stop rationalizing make-believe! 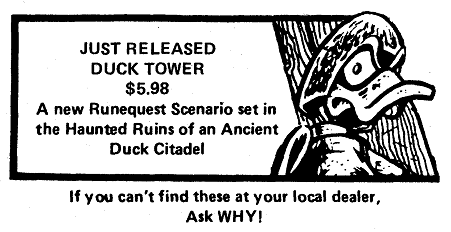 I dig the image in the ad to the right – makes you wonder what the Hell is going on. I’m going to turn this into a little side trek into comic books. When I used to collect the things, the covers were a shorthand blurb about the story in the issue – the idea was to get a kid at a news stand to plunk down their money to find out what was going on. Now comic book covers are mostly pin-ups, I suppose because they’re aimed at an different audience. They’re usually very well drawn, but personally, I prefer those old covers. They fired the imagination, and were pretty fun. In fact – when I find an old issue, those covers still induce me to buy them. The pin-ups – not so much. That’s all for this week. Hopefully the pace will slow down and I can get another one written next Sunday. I will have some updates this week from the next hex crawl in NOD. By the way – I put my five latest print titles at Lulu on sale at 25% off – today only. Pick one up if you’ve a mind to. 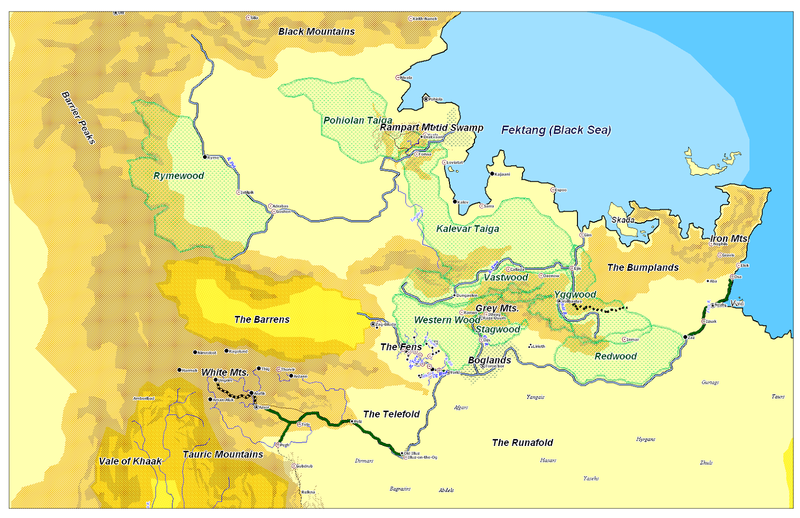 Bekantan have a base movement rate of 30′ per round and a climb speed of 20’ per round. 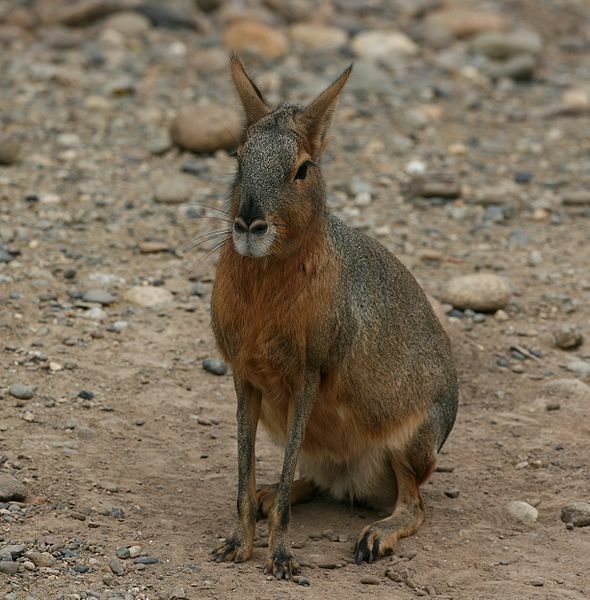 They have a knack for climbing sheer surfaces, jumping and swimming (they have webbed toes). Bekantan enjoy a +2 bonus to save vs. poison. They can make a bite attack for 1d3 damage in place of a weapon attack. 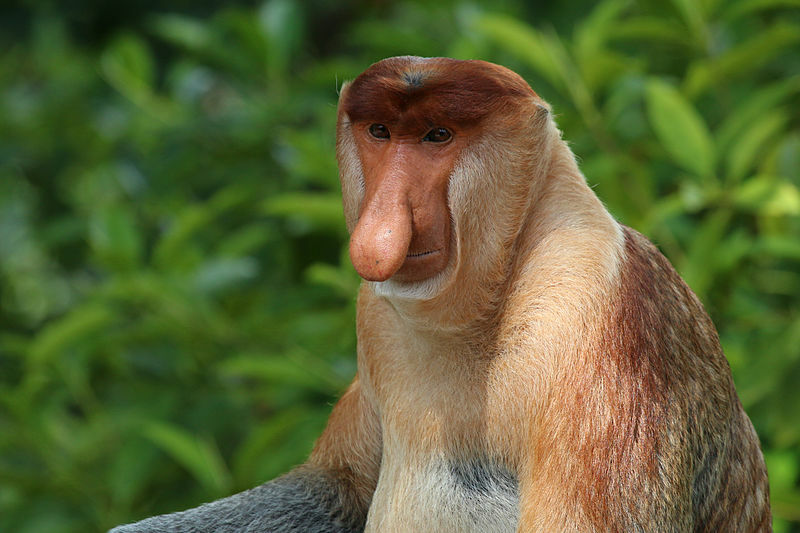 I was groovin’ around the internet the other day and came across some cool animal pictures. So I made stats for them. Because I’m a geek. 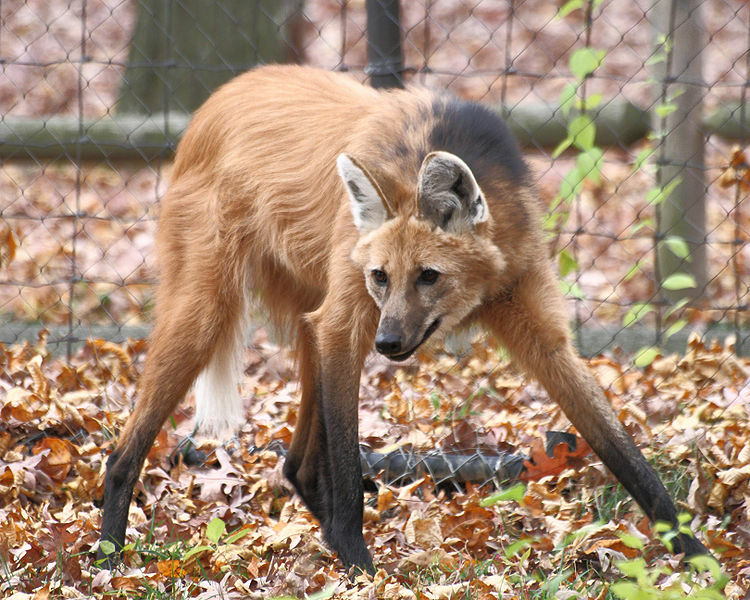 Maned wolves are the tallest canines in the world. They have a distinct odor, which is why they are also known as “skunk wolves”. 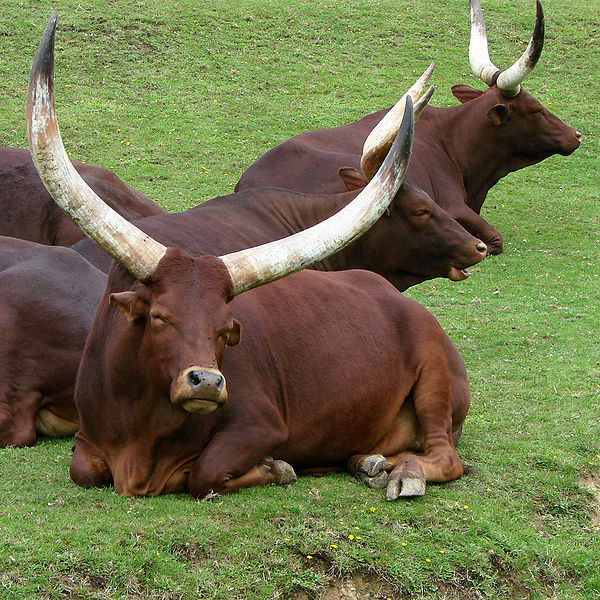 They are native to Brazil. They would make cool mounts for pixies. 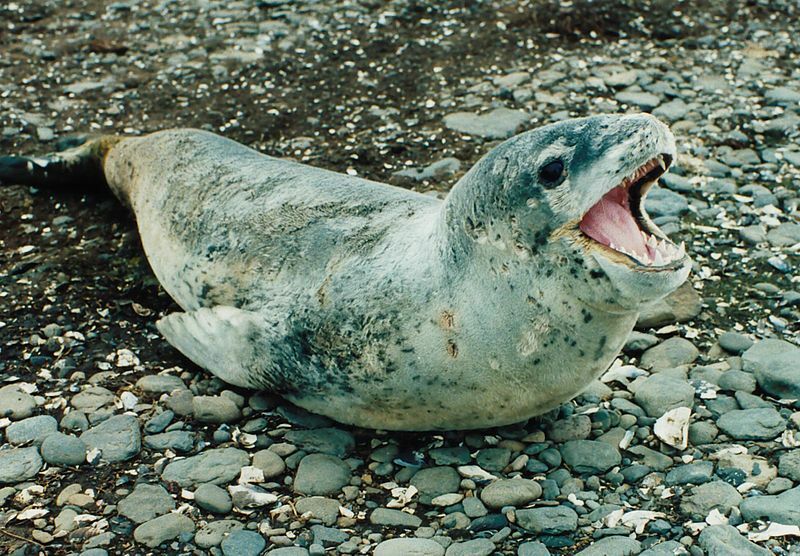 Leopard seals are seriously dangerous predators who have been known to attack and kill people … so totally D&D. It’s Fall here in Nevada – finally. Summer usually lingers until Halloween (or Nevada Day, if you prefer) and then gets its back broken. 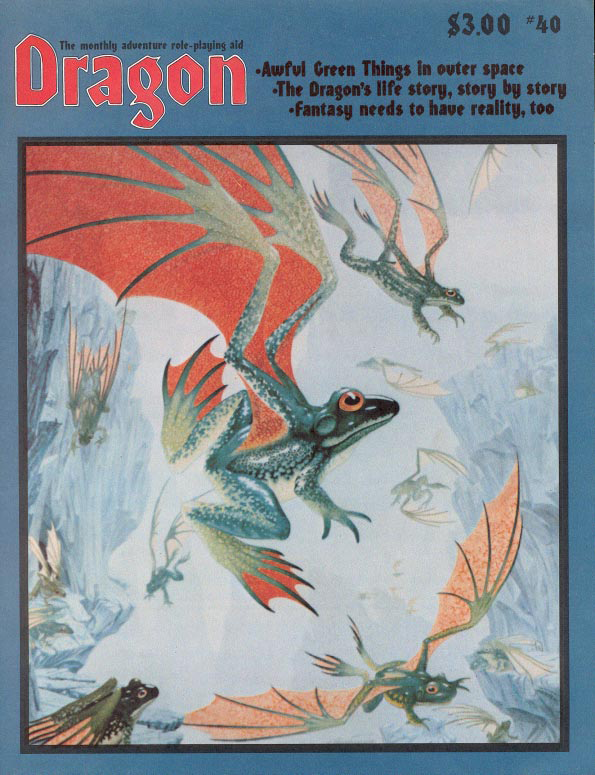 But Dragon #38 was published in June of 1980 – summertime! The guy on the cover is appropriately attired for summer, though somewhat less so for adventuring. It’s worth remembering that the male equivalent of the chainmail bikini was the fur underwear that graced many a barbaric warrior in the 1980’s (and professional wrestlers – it was really the heyday of violent men in their underwear). 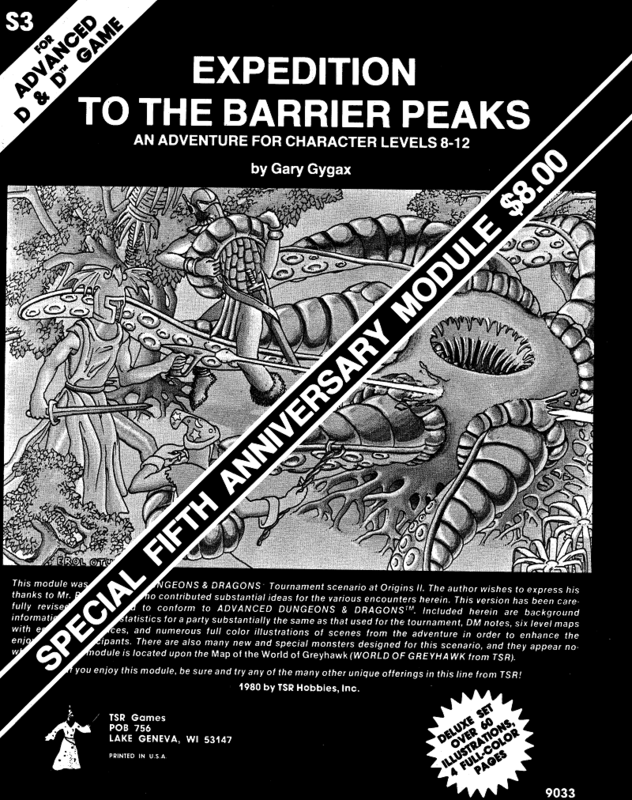 The first is S3 – Expedition to the Barrier Peaks, the special Fifth Anniversary Module! Only $8.00 – approximately $23 in today’s dollars. Am I selling my stuff too cheap? Well, I’m not writing classic modules, so probably not. 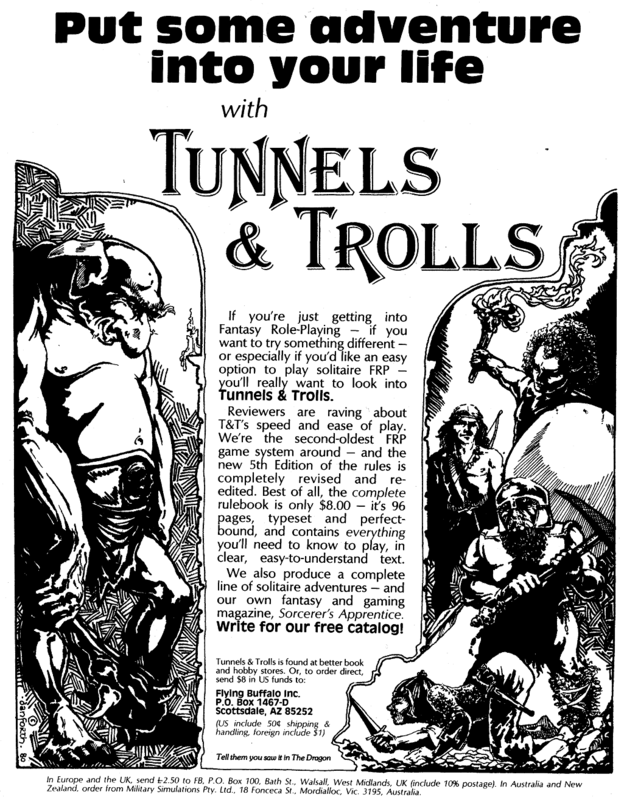 I’m not trumpeting this article because it’s a truly great addition to the world of Dungeons & Dragons. Rather, because it takes me back to a day when these sorts of “scholarly” articles about the game were not so unusual. Lakofka was a master of them (and he perhaps still is). He had a penchant for digging into the elements of the game, thinking deeply about them, and then reworking them for his campaign. Were they better for the attention? I suppose that’s a matter of opinion … but I like that he did it. 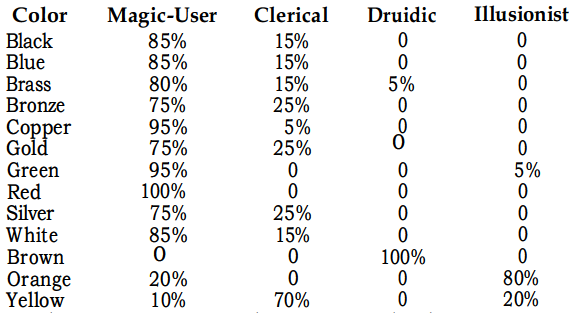 In this article, he presents new percentage chances for dragon’s speaking and casting spells. He also comes up with the chances that dragons might cast spells other than magic-user spells. He also presents a three new dragons – Brown, Orange and Yellow. The brown dragon has faerie fire and lightning breath weapons, the orange dragon color spray breath weapon (I dig this) and the yellow dragon has breath weapons that cause disease and blindness. Merle Rasmussen writes an article about a new game … Top Secret. I never played it, but was always intrigued. I did a quick check, and didn’t see anything about a retro clone of this one – maybe some fan out there can create one. In the meantime, I would suggest checking out Bill Logan’s White Lies. Looks awesome. Speaking of spies and espionage … the Cold War. 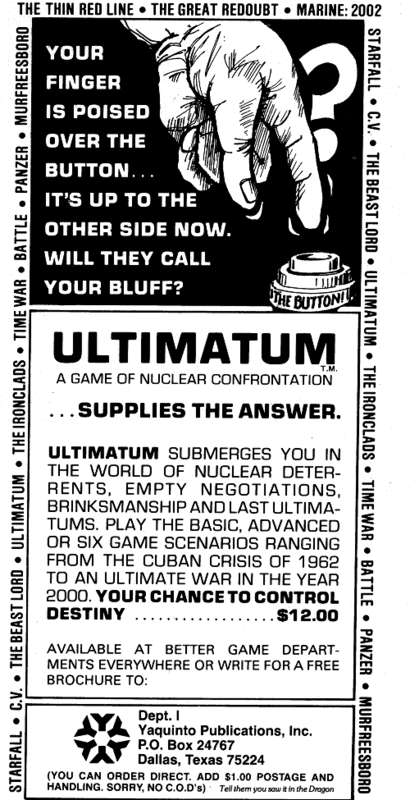 The advertisement to the right was one of many games about nuclear destruction (or its bizarre aftermath) from the period. I’m never sure if the people writing them didn’t want it happen a little. This one also brought to mind Supremacy. Fun game – I played it often. I remember the f-u move in that game was, when it was obvious you were going to lose, to nuke your own territory and launch a nuclear winter so that nobody won. Tricky, weird, stupid game, but lots of fun with friends. Right up there with RISK and Axis & Allies. I was never big on bearded female dwarves, but I think I’m changing my mind. Time to commission an all-female dwarf party illo for the new Blood & Treasure. 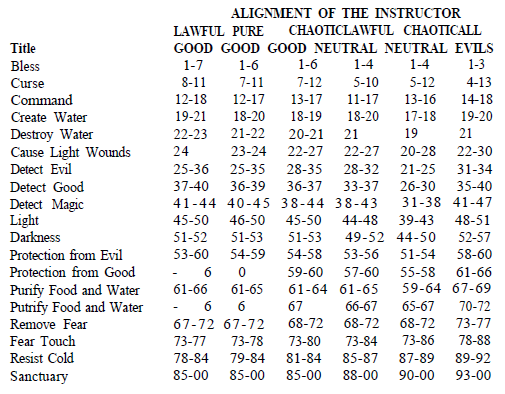 The article draws on Agrippa to present the magical correspondences of the different classical planets for use in gaming. For example, here’s the entry for the Sun. The Electric Eye article by Mark Herro looks at two games – Civil War and Star Trek. Why is this so cool … because when I was a young nerd, my father borrowed a book of programs from an old nerd he worked with and I typed the Civil War program into a computer and played it. So help me God. 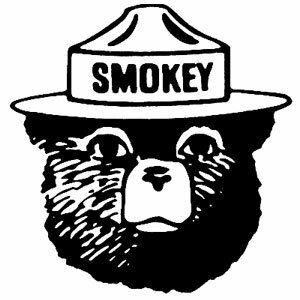 To kids out there, I might as well be explaining about the day the guy who invented fire showed me how it was done. Sometimes it’s the monster’s stats that make you want to use it. Sometimes its the art. For the flolite, it’s the art. Flolite, Medium Aberration: HD 5+1; AC 15; ATK 1 tentacle (1d4+1); MV Fly 30′; CL/XP 7/1250; Special–Excellent sight and hearing, 30′ radius daylight around creature, when deals max damage with tentacle it drains 1 point of Strength and gains 1d8 hit points, frenzy against flying creatures (+1 to hit, +3 damage). 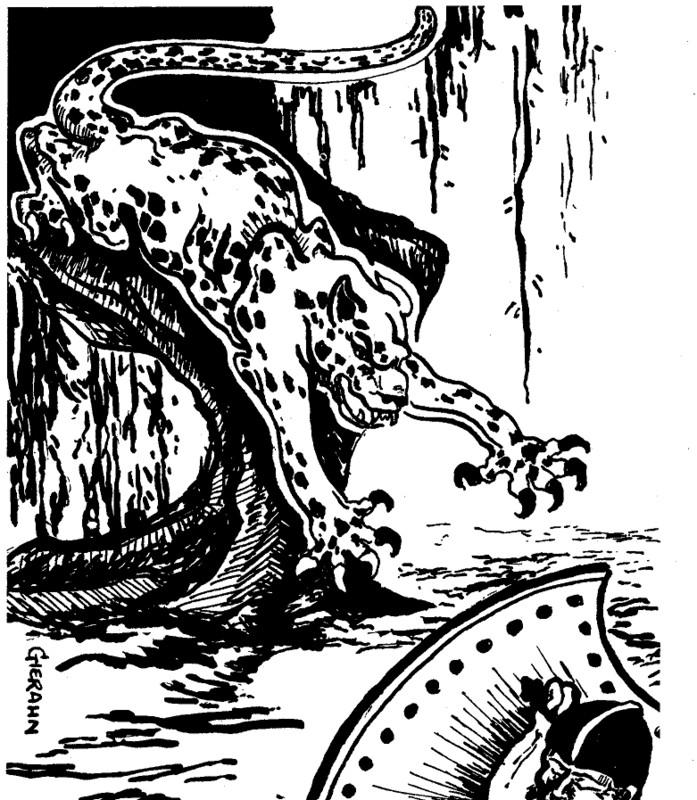 The monster’s eye, if harvested, protects an adventurer from the level or prime requisite draining abilities of vampires, night hags, wights, etc. What a great adventure hook – the adventurers know they have to take on a vampire in her castle, or follow a night hag into the Astral Plane to retrieve the Christmas dreams of the children of Sombertown, and to avoid the energy drain they must first venture into the desert after some flolite eyes. #10 … I AM THE GREATEST! I admit, I’ve never been into boxing, but this sounds like a fun game for a Saturday afternoon. Invite some friends over, make a championship belt, and have some fights. 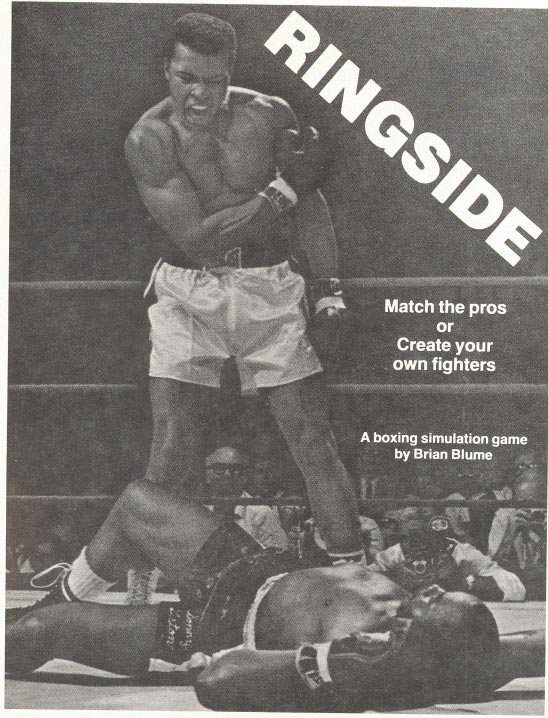 The game is pretty simple – Agility, Endurance, Counterpunch and six punches. Combat uses a punching chart. There are basic rules, advanced rules and campaign rules, and stats for 30 of the greats, including Ali, Jack Dempsey and Rocky Marciano. And that’s it for Dragon #38 – June 1980. Find a copy and enjoy, boys and girls! 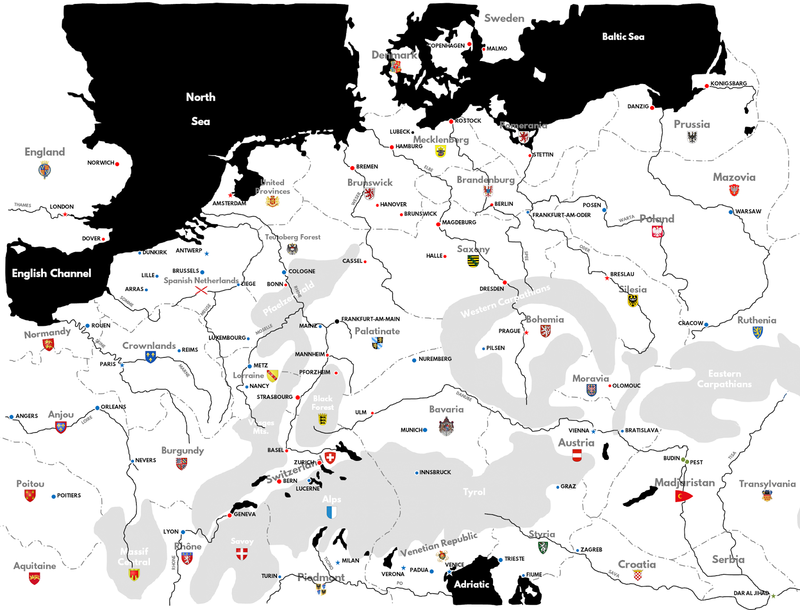 Today, I’m talking about my next Quick & Easy (though that classification might not fit exactly) game, Black Death. Obviously, it’s a cheery game about rainbows and gumdrops. 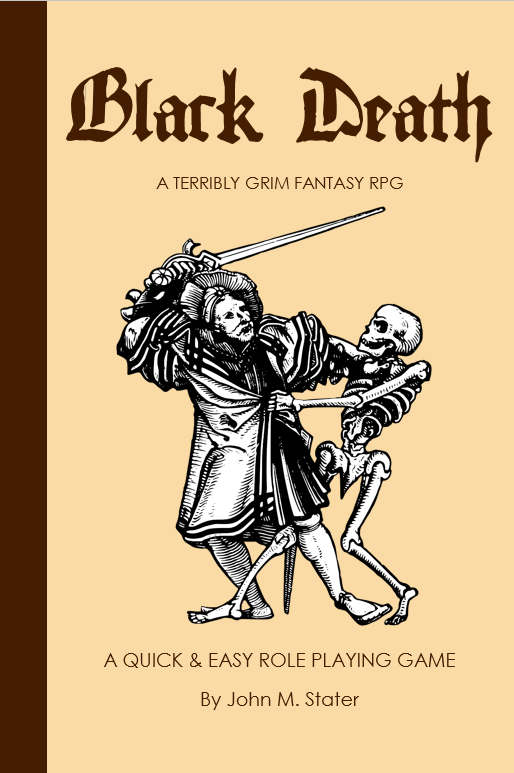 The idea for Black Death was really just an image of a guy being molested by a skeleton. From there, it turned into a game set during the religious wars of the 16th and 17th centuries, culminating in the devastating Thirty Years War, in which all the fighting and condemnations and general hatred have allowed Hell to burst forth on Earth. Now the Catholics and Protestants also get to deal with demons, the undead and other fantasy creatures. Into this cesspool of violence, black magic and disease (lots of disease), a band of mercenaries, picaros and itinerant scholars does their best to survive and thrive. Here are a few bits and pieces from the game as it currently stands. Right now, it’s about 80% there – written, but with lots of editing and tweaking needed, but well on its way. I’ve also got the hex map for NOD 28 done (need to start writing my buns off), and I’m doing another round of edits on GRIT & VIGOR. Abilities: Strength, Agility, Constitution, Intelligence, Willpower, Perception and Charisma. HexenhammerHexenhammers are witch hunters, scouring the countryside for the tools of Satan (or harmless-but-scary old women, as the case may be). 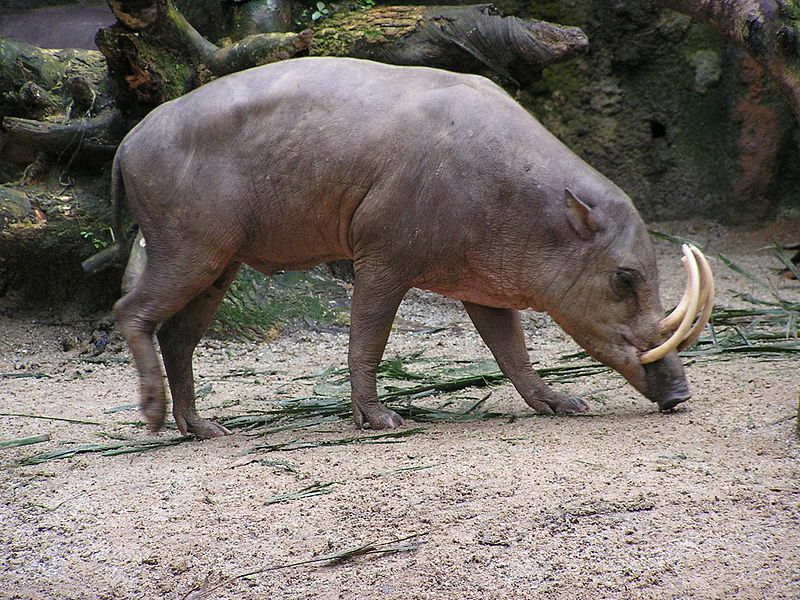 Hexenhammers are possessed of a frightening determination, and once they are on the scent of a witch, they do not stop their hunt until they have their quarry. Every hexenhammer carries with her a well-worn copy of the Malleus Maleficarum, a guide book for witch hunters. Special Ability: After long study of the Malleus Maleficarum, hexenhammers know well their ways. 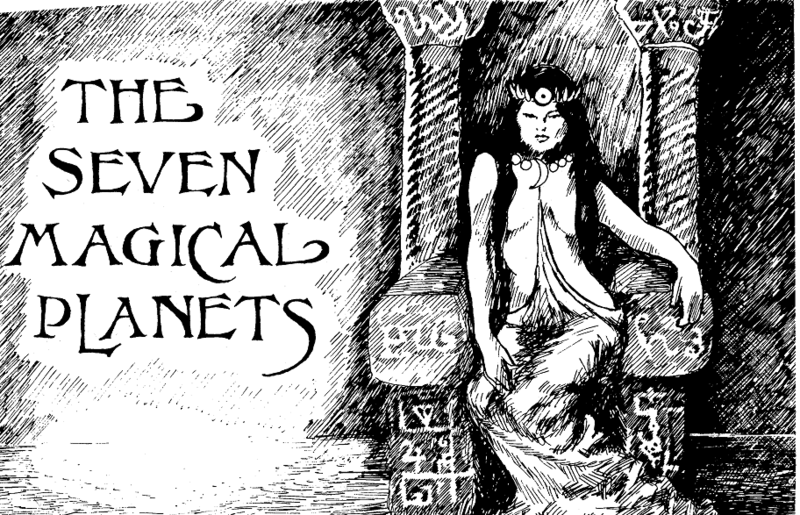 They can use a Sixth Sense task check to sense the presence of witches, conjurers, heretics and tools of Satan within 60’. The landsknechts are mercenaries, fighters-for-hire that care little about the cause, only the reward. English mercenaries might instead be called “gentleman adventurers”, Italians “condottieri” and the Swiss “reisläufer”, but they’re all just mercenaries. When a general is willing to pay them, they are happy to fight battles. When clients are in short supply, they are happy to turn to brigandage or adventuring to earn a living. 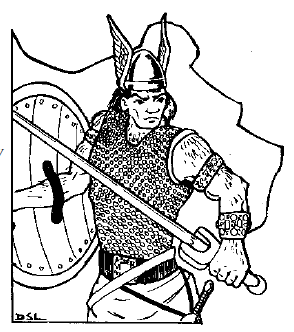 Special Ability: Landsknechts are well trained in the fighting arts, and may use any armor and any melee or missile weapon, regardless of their current Fighting or Marksmanship skill values (q.v.). Magicians practice the scholarly magic of the Renaissance. While they themselves may be benevolent, they must have truck with demons to produce their magical effects, and therefore are considered suspect by most decent folk. Magicians are usually to be found in the robes of a magic, or in the dress of a gentleman or gentlewoman with one or several grimoires on their person, heavily annotated in the margins and smelling slightly of sulfur. The most famous of their number is perhaps Doctor Faustus. 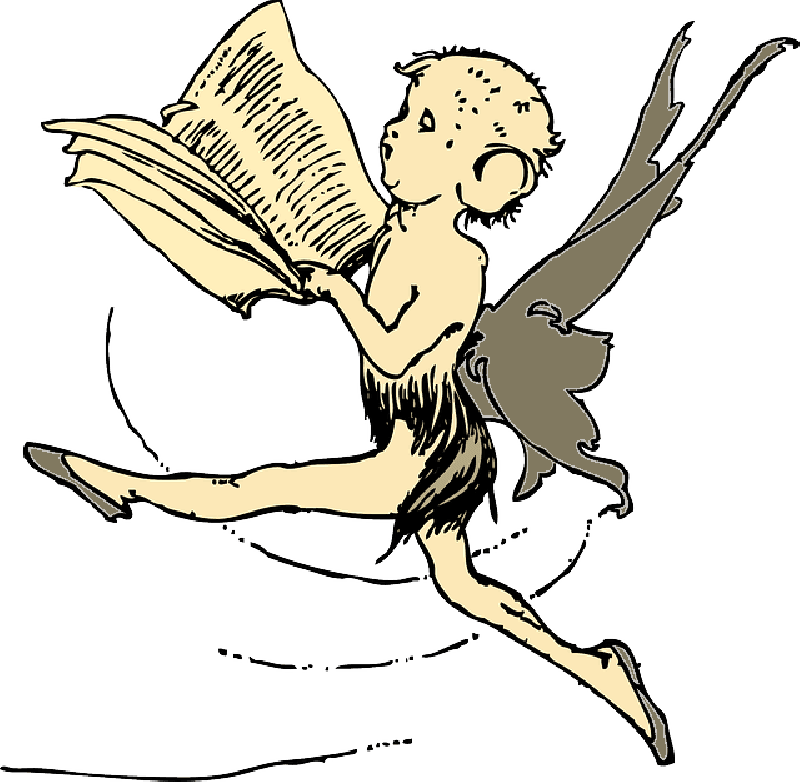 Special Ability: Conjurers receive their magical knowledge from books, and are thus always literate. When they have a grimoire in hand, they can use it to aid in their magic. For each grimoire they possess, they can add +1 to their Invocation score during a task check, but add one combat round to the time it takes them to cast the spell. Other classes include the archer, barbarian, cleric, courtesan, doctor, flagellant, fool, gypsy, hunter, inquisitor, knight (dame), mariner, musketeer, picaro, professor, rakehell, rat-catcher, resurrectionist, robber, satanist, student prince, trader and witch. When these classes run around killing things (or trying not to be killed), they’ll have a big list of weapons. I went a little nuts on the weapons, and each weapon is capable of a “weapon trick” in place of doing damage – things like tripping people, backing them up, disarming them, crushing armor. There’s a section on disease – lots of opportunities to catch something nasty – and on damnation. Damnation points are collected when people do bad things – absolution by the church can remove them, as can holy quests and pilgrimages. The more damnation points, the harder it is for holy magic to work on you, and the more likely you bear a “mark of Satan” – i.e. 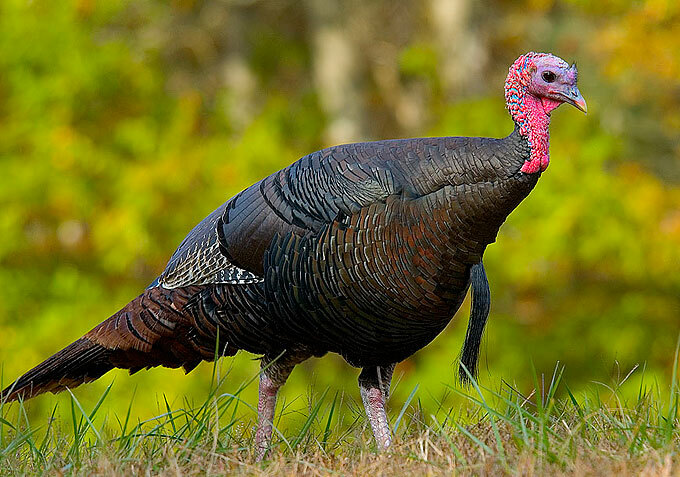 a mutation. There are lots of monsters – undead and demons, but also fey creatures. The monsters are mostly from Central European myth and folklore, but some other bits and pieces as well, such as from Dante’s Inferno. It’s still a pretty quick and easy game to play (I think), but it does look like it’s going to be about 88 pages long – about twice the size of earlier efforts. I’ll keep folks updated. 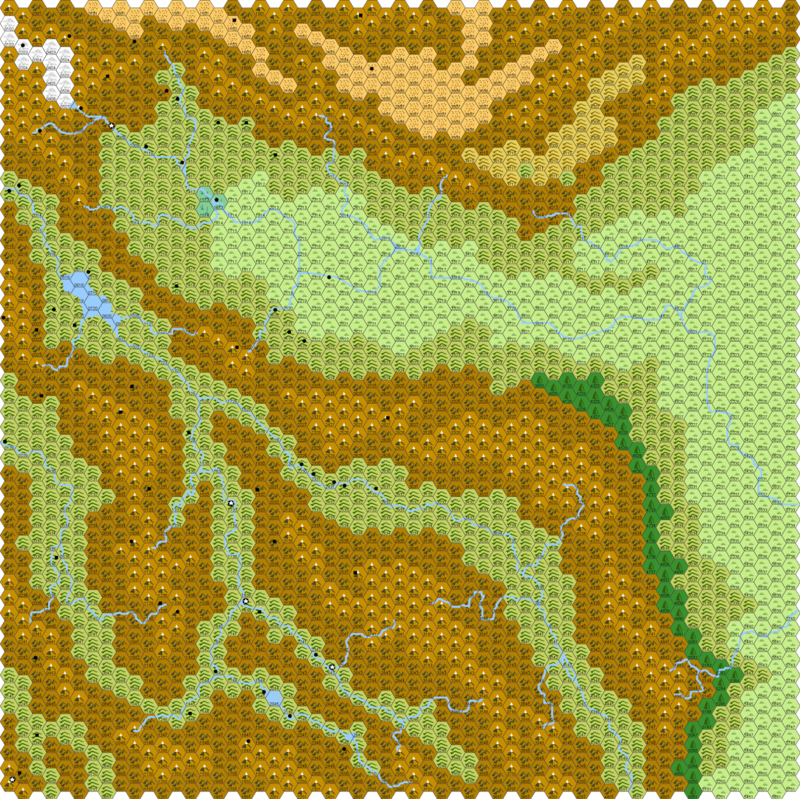 Oh, and here’s an early draft of the map, broken into regions for easy travel rules. If the face is frightening, creatures caught in the light (including allies, so be careful) are subject to the effects of the cause fear spell. If the face is amusing, creatures caught in the light are subject to the calm emotions spell. The light from the jack-o’-lantern also negates magical invisibility, and causes magic items to glow orange. The magic lasts as long as the candle lasts (probably 1 or 2 hours), and the range is per a normal lantern. 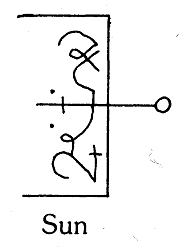 If during the duration of this spell the magic-user is killed, his or her head immediately teleports to and is transplanted on the nearest humanoid creature within 30 feet. The victim’s head remains on the body as well. The magic-user and his subject will be dazed for 1 minute afterwards, and the magic-user will be unable to cast spells until it takes control over the victim’s body. Each day, the magic-user can attempt a contest of wills against the victim; each rolls a Will saving throw. 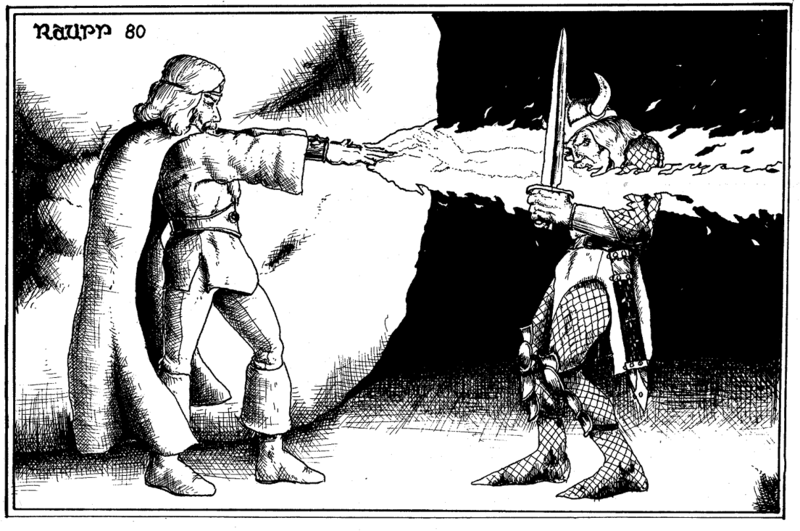 If the magic-user succeeds at his save, and succeeds by more than the victim, he gains control of one arm. Another success wins him the other arm, and a third the legs. A failure over the same period loses him an arm or the legs. When the magic-user has control of the arms, he can cast magic spells again as normal. 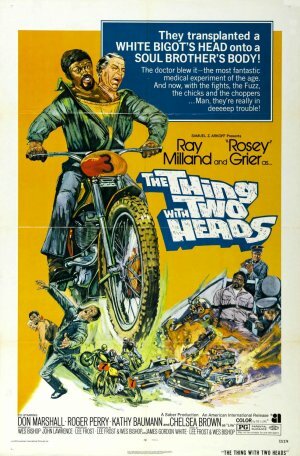 (Yeah, The Thing With Two Heads was on TV this morning). 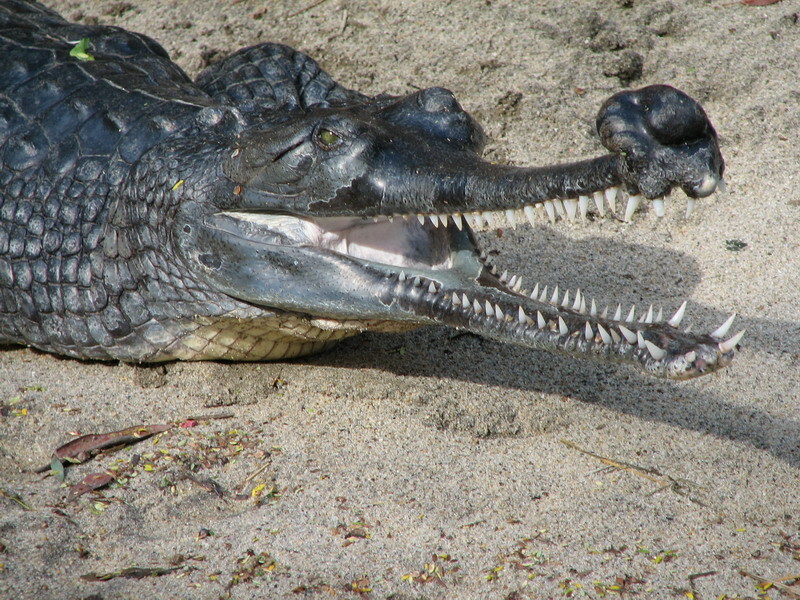 As hideous laughter, with the following differences: The victim is not completely helpless – they can move and even attack, but cannot stop cackling. Any strenuous activity causes fatigue for 10 minutes. Also, the cackling forces those who hear it to pass a Will save vs. fear or be affected as per the cause fear spell. This spell turns bone into steel. Only dead bones (i.e. not part of a living creature) are affected. Bones like femurs are turned into the equivalent of light maces. Animated skeletons gain AC 17. The beneficiary of this spell does not suffer from gaze attacks as normal. If the gaze normally causes fear or blindness, it now instead reduces the victim’s Wisdom by half. If the gaze normally causes petrification, it now instead reduces the victim’s Dexterity by half. Other effects can be determined by the TK as necessary. The effects of the gaze attack last for 3 hours. The touched victim must pass a Fortitude save or their face is twisted into a terrible grimace, reducing their Charisma score to 3 for the duration of the spell. 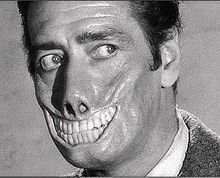 Have fun, folks – don’t eat too much candy! The magic-user holds an object (any object) up and focuses on a single victim. If the victim fails a Will saving throw, they become obsessed with possessing the object for 10 minutes, to the exclusion of all other goals. When they get the object, they crouch on the floor, petting it and proclaiming it their “precious”.